Connect with the Library Online! Bowling Library and Project Curiosty invite you to read a book together as the Judson Community. Lila embodies all that is Judson - matters of faith, knowledge, purpose; searching questions, kindness, truth, and noble deed. Read with your sisters and the faculty and staff of Judson. Share in the conversation and be changed. Read the rest of the synopsis here. 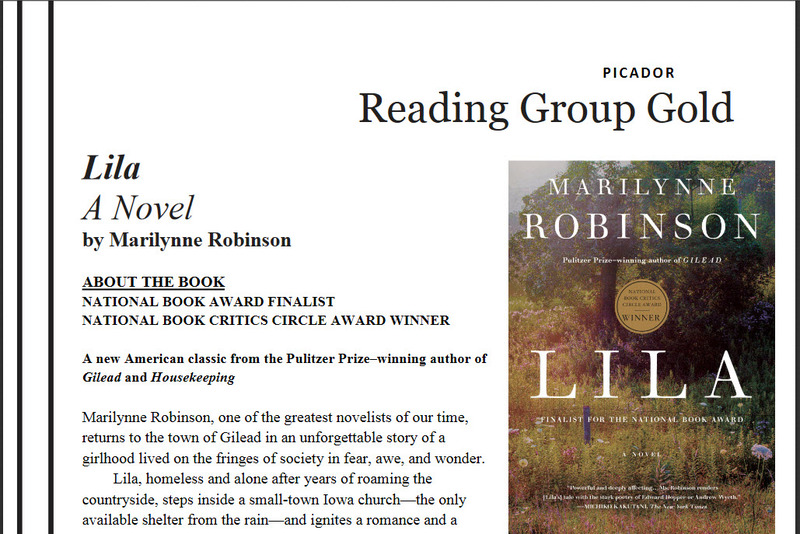 “Lila | Marilynne Robinson | Macmillan.” US Macmillan, https://us.macmillan.com/lila/marilynnerobinson/9781250074843/. Accessed 18 Sept. 2017. Judson Women Read is a critical thinking activity sponsored by Project Curiosity, Judson College’s Quality Enhancement Plan.